Discover a suburban oasis called Homestead between the corners of Arapahoe Road, Quebec Street, Dry Creek Road., and S. Holly Street. It’s part of my home town, Centennial, Colorado. This area includes a square mile of diversity. You find everything from a Fire Station to an Elementary School to a daycare to a small office park to a storage facility to apartments, condos and townhomes. Best of all, there are patio homes, detached single family homes and luxury homes. Here’s a list of floor plans. Homestead in the Willows is a typical Denver Suburb. However, its one of the few with a 160 acre nature preserve adjacent to it. It’s known as Homestead. 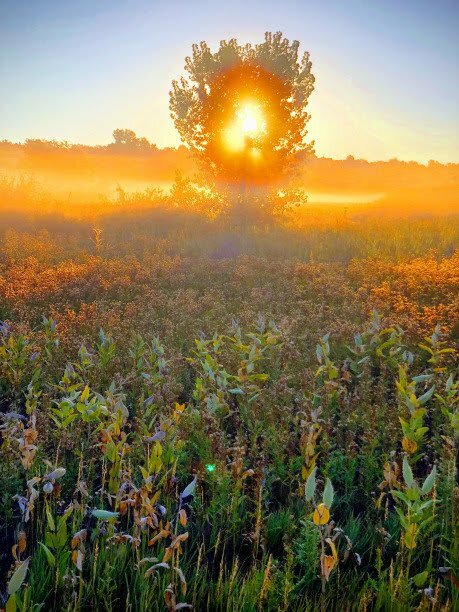 Coyotes, hawks, Lark Bunting, the occasional deer, raccoons, and foxes all call this home.Because, right in the center of that square mile, or 640 acres, lies a 120 acre open space known as Willow Spring Open Space. The easiest access points if you are driving are located at Homestead Elementary School off Dry Creek Road. Or, the South Suburbans Parks maintenance facility off of S. Holly Street works too. If you’re walking, a pedestrian bike trails runs right through the middle of it connecting Heritage Village to the Highline Canal Trail. That’s on the north to the Willow Creek Trail on the south connecting to the C-470 Trail. From there, a 50 mile bicycle loop will allow you to circumnavigate the Southern Denver Metro with very little interaction with automobiles and traffic. Within Homestead in the Willows you’ll find 8 tennis courts, 3 pools and literally miles of trails. It is very easy to create a 4 mile loop “within the community” without having to compete with traffic or the noises of the suburbs. My favorite loop is almost exactly 2.5 miles. And, this trail is almost entirely on a “crusher-fine” trail. It crosses Willow Creek twice and weaving in and out of adjacent “single track”. 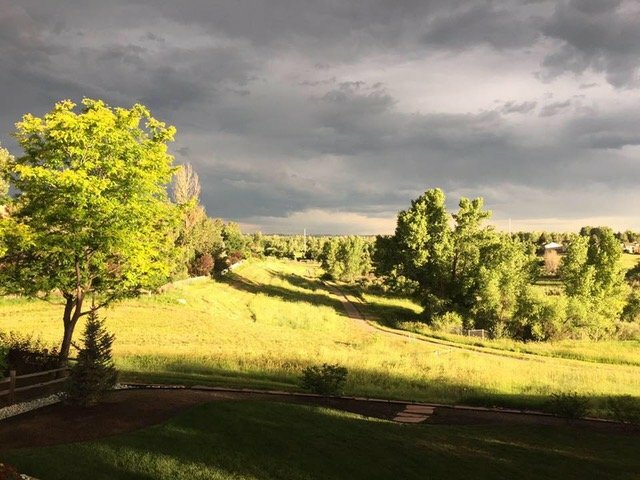 An incredible nature trail runs right though this Denver suburb. With about 965 residences under the regulations of the Homestead in the Willows Homeowners’ Association, there is a constant effort to keep appearances up. Also, it’s maintained at superb levels and making sure all the recreational features are always ready for homeowners’ use. I have witnessed Homestead “roll with the punches” many times though Denver’s home price fluctuations. When markets have turned south, Homestead has always enjoyed a stable population committed to the community. Homestead enjoys fewer foreclosures, fewer short-sales and fewer missed HOA payments than competing communities. People enjoy living in Homestead, As a result, they tend to protect it with their financial resources. It’s truly unique for a suburban master planned community to benefit from such a financial commitment of its residents. Every walk through the community reveals the excitement of someone’s remodeling project with a dumpster in the driveway. Homestead has had hundreds of renovation and remodel projects, So, the original prices of these homes can be dwarfed by the renovations. In today’s dollars, there is routinely a renovation or remodel underway exceeding 30% of its current sales price. When dollars are spent wisely, we see these improvements help with resale down the road. 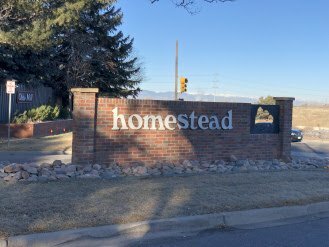 I’m not going to tell you Homestead in the Willows is the “Best Community” surround the DTC Corridor. But, I will tell you it offers the best combination of compromises. Shopping, employment, schools, recreation, entertainment, access, transportation, appearance and price round out the advantages. Homestead in the Willows has few, if any peers. Even after living here 30 years, I would make the exact same commitment today, and in the weeks to come, I’ll be reporting on the sub-associations within our “square mile”. So, keep reading, commenting and asking those questions.We’re here for you every step of the way! Helped a friend move into Homestead. Beautiful area.